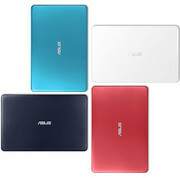 80% ASUS EeeBook X205 Review: Netbooks Strike Back! 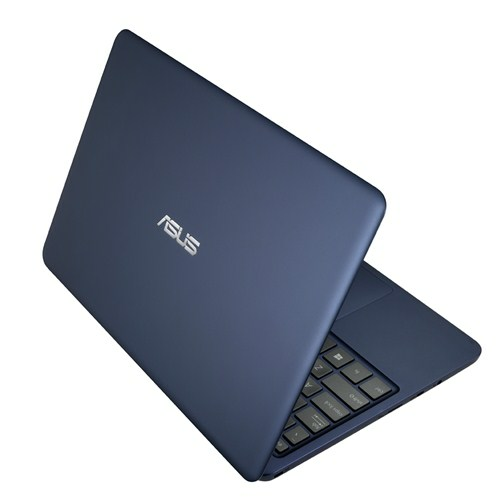 With the EeeBook X205, Asus has set a benchmarks for budget netbooks. The device is sturdy yet incredibly light. Compact design, proper chiclet keyboard, and long battery life makes this laptop an ideal office companion. 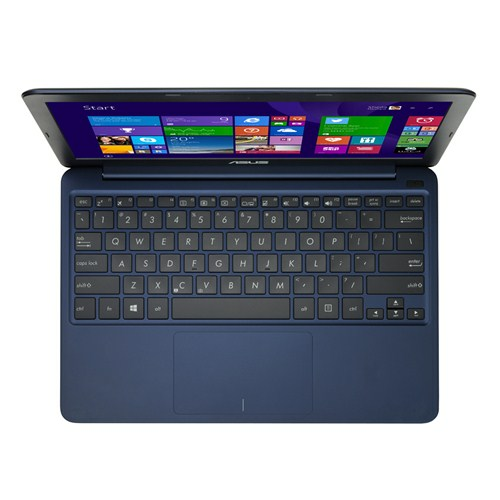 Lastly, it's the affordable price tag of Rs 15,000 that makes the EeeBook X205 unbeatable in this segment. So yes, if you are tired of your bulky laptop or struggling to be productive on an Android or iOS tablet, go for the ASUS EeeBook X205. The Asus EeeBook X205TA (X205) sure offers plenty for the $199 you'll have to pay for it and is a thin and light laptop suitable for kids, for travel and all of you looking for a small device that runs Windows and the compatible software. It's not without flaws and Asus did have to cut some corners here and there, but that was expected from a device that sells for this little. It's easy to pick holes in cheap laptops. You have to take from one place to improve another and it shows. 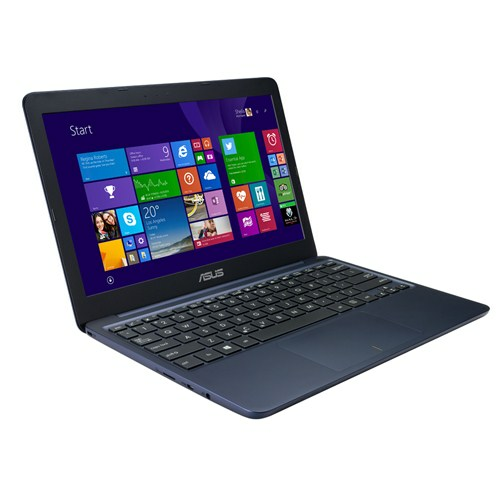 But Asus seems to have the balance right in the EeeBook X205. The only question is whether it has the performance to run Windows comfortably and thus stave off the Chromebooks. Positive: Very good first look impression; compact size and lightweight; good autonomy; very competitive price; good processor. Das Asus EeeBook X205TA-FD005BS ist ein fähiges Netbook mit fast Mittel-Klasse-Smartphone-Preis. Lassen Sie sich durch den niedrigen Preis nicht täuschen: Das Netbook wirkt hochwertig und robust. Asus hat viel Know-How in Laptop- und Netbook-Erzeugung und daher ist es nicht überraschend, dass sie das geschafft haben. Das Asus EeeBook X205TA-FD005BS hat abgesehen vom schwarzen Bildschirmrahmen ein vollständig weißes Gehäuse. Der glänzende 11.6-Zoll Bildschirm leistet genug für angenehmes Ablesen. Die Hardware besteht aus einem Intel Atom Z3735F Prozessor mit einer Taktrate von 1,33 GHz, 2 GB DDR3L 1333 SDRAM, Intel HD Graphics (Bay Trail) und 32 GB eMMC Flash-Speicher. Anders als bei moderneren Architekturen ist kein lüfterloses Design möglich. Dennoch bleibt das EeeBook X205TA-FD005BS leicht und ausreichend leise. Das 980-g-Netbook verfügt zudem über HD-Audio, 2 USB-2.0-Ports, 1 HDMI, Bluetooth 4.0 und einen Kartenleser. Die Webcam entspricht nicht den Erwartungen, da sie eine veraltete 640 x 480 Pixel Auflösung bietet. Die Tastatur des Asus EeeBook X205TA-FD005BS hat ein markantes Feedback, das komfortables Tippen ermöglicht. Die Akkulaufzeit ist gut und beträgt laut Asus 12 Stunden mit dem 38 Wh Lithium-Polymer-Akku. Netbook, neu definiert. 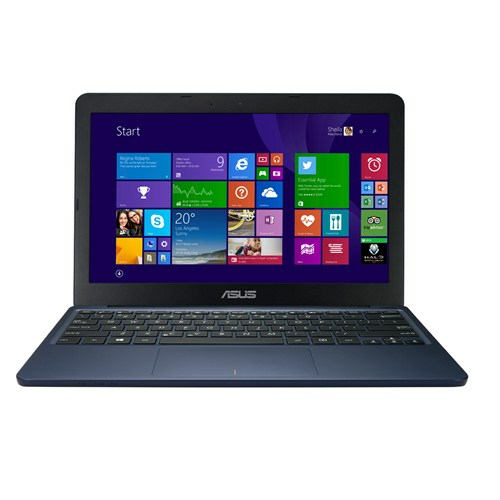 Für 219 Euro verkauft Asus ein handliches Subnotebook mit Windows 8.1 Bing. Wie viel Netbook kann die Kundschaft für so wenig Geld erwarten? 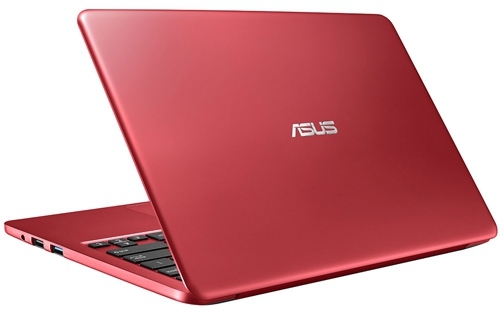 Asus spricht von Eleganz, Premium-Feel, Performance, 12 Stunden Surfen und kräftigen Farben. Dazu liegt noch eine Office 365 Jahreslizenz im Karton. Ist das alles zu schön, um wahr zu sein? Netbook, neu definiert. 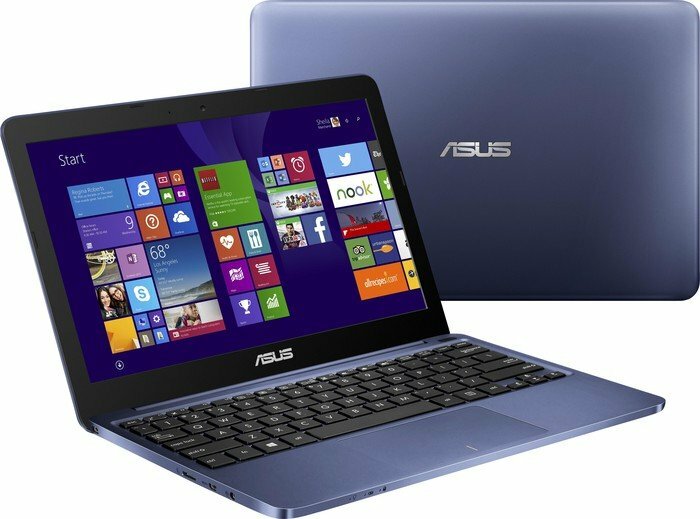 Für 219 Euro verkauft Asus ein handliches Subnotebook mit Windows 8.1 Bing. Wie viel Netbook kann die Kundschaft für so wenig Geld erwarten? 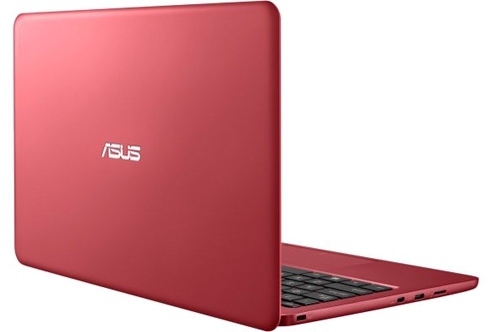 Asus spricht von Eleganz, Premium-Feel, Performance, 12 Stunden Surfen und kräftigen Farben. Dazu liegt noch eine Office-365-Jahreslizenz im Karton. Die aktuelle Inkarnation EeeBook X205TA ist glücklicherweise ein ganzes Stück alltagstauglicher als die Urahnen von vor sieben Jahren. Der 11,6-Zoll-Bildschirm zeigt die üblichen 1366 x 768 Punkte und ist mit bis zu 230 cd/m² ausreichend hell. Das Asus Eeebook X205TA ist eine Option, wenn ein leichter Mobilrechner gesucht wird, der über eine Tastatur verfügen soll und nicht viel kosten darf - Tablets mit Tastatur sind zumeist erheblich teurer. Wenn dann noch der Wunsch nach einem leistungsstärkeren Chip in Verbindung mit einem Windows-Betriebssystem gehegt wird, muss wenigstens das Dreifache ausgegeben werden. Even if you're content using Google apps and web storage the ASUS EeeBook X205TA is a solid Windows-based option in the ~$200 notebook market. There are a couple of areas where I'd like to see improvement (beyond the display) such as the screen hinge and slow eMMC storage, but on the other hand it offers adequate performance and has great battery life. Overall it's very hard to fault a complete system of this quality that sells for $199. Want to review a laptop for Computer Shopper? First rule: Write the review of the laptop using the laptop itself. A $199.99 full-Windows laptop with an 11.6-inch screen, the hyper-aggressively priced EeeBook is a worthy competitor to HP’s Stream 11. But try its keyboard, if you can, before you jump in. So does the Asus EeeBook X205TA offer better value proposition than the Acer Chromebook C720? I would have to say yes, for the simple reason that this is a more familiar OS and you can use your regular Windows applications online as well as offline to get work done. The two issues that we had with the Acer Chromebook C720 included terrible display and bad keyboard – both areas where Asus EeeBook X205TA offers a better solution. 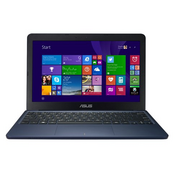 If you’re buying for someone where the weight matters, the Asus X205TA is a decent option as it provides Windows 8 on a budget with a soft keyboard and enough battery life to get a whole day of school work done. The glossy screen may throw some people because you’ll expect it to be touch-friendly, and the mouse could do with a little work, but if you’re patient and you get used to Windows using only that mouse, it’s easy to find a solid experience offered in the X205TA. With the X205TA, Asus has set the bar for what a budget laptop should be. With a solid display, category-leading battery life and stereo speakers all packed in a slim, attractive body, the X205TA feels like a premium device -- without the premium price tag. Hopefully, Asus can sort out the touchpad irregularities with a drive update, but even without that update, the EeeBook X205TA is still the $200 laptop to get. The Asus EeeBook X205 is a laptop for someone who likes the size and price of the typical Chromebook, but doesn’t understand why you’d want to buy a laptop that can’t run desktop Windows apps. It’s also a laptop for fans of netbooks who have been using low-cost, portable Windows computers for years — but who want better performance than you could get from earlier models. Asus has done a very impressive job to make such a capable machine costing so little. If you’re happy to take your work to the cloud and don’t mind paying a yearly fee of £60 for Office365, the Asus EeeBook X205TA is a terrific buy, even when compared to our favourite Chromebooks. If you’re happy to spend slightly more and reject the cloud completely, the Acer Aspire E3-111 would be a worthy alternative: it's more powerful and has a 500GB hard disk. 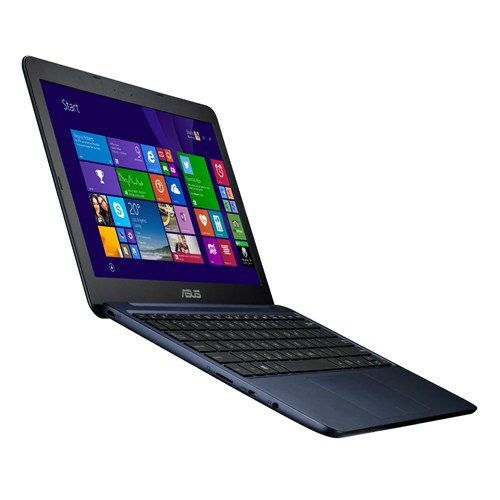 Positive: Good price; slim; lightweight; great autonomy; decent performance for normal tasks; perfect for students. Positive: Long battery life; good touchpad sensitivity; decent performance for normal tasks. Negative: Poor display; uncompetitive price. Positive: Comfortable keyboard and large touchpad; extreme battery life; good price. Negative: Mini HDMI port; no USB 3.0 ports. Positive: Good performance; great autonomy; for this category, a good screen; very favorable price; good impression. 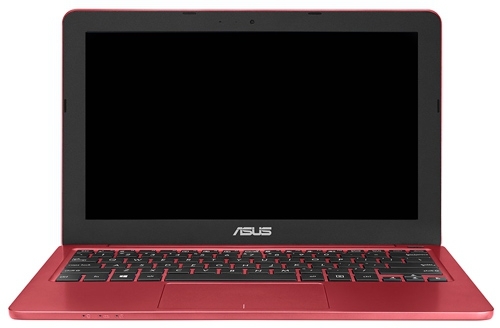 Asus setzt bei seinem EeeBook F205TA-FD018BS voll auf Mobilität. Mit einem Gewicht von knapp 1 Kilogramm ist es besonders leicht und bietet zudem eine Laufzeit von über 12 Stunden im Office-Betrieb. Die Leistung reicht dagegen gerade so für einfache Office- oder Internet-Aufgaben. Auf eine üppige Ausstattung müssen Sie bei dem günstigen Preis ebenfalls verzichten. Positive: Decent equipment; good mobility; good price. Das superleichte 11-Zoll-Notebook Asus EeeBook F205TA-FD0065TS verblüfft im Test durch eine enorme Mobilität und überraschend guter Verarbeitung – vor allem bei diesem Einstiegspreis. Die Performance kann da allerdings nicht mithalten: Der Atom-Prozessor ist nur für einfache Aufgaben geeignet. Now for the final call, the Asus E402M impressed us with its design and price, however, it is no more than a regular browsing notebook. If you want to gift your little kid a notebook that is perfect for regular tasks, the Asus E402M can be considered, otherwise, the notebook doesn’t offer anything extraordinary. No doubt, it is portable and comes with an impressive price of around Rs 15,000, but we better spend a little more and get a full fledged notebook for all kind of work. 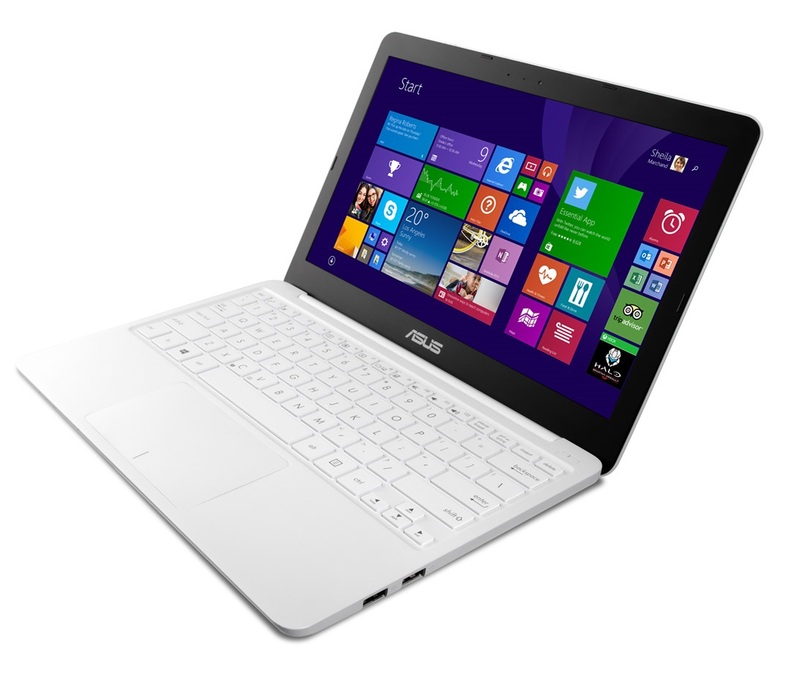 80% Review: Asus EeeBook E402M Elegant White - the EeeBook ain't'n't dead yet! It’s easy to criticise the EeeBook E402MA when comparing it to $1000+ laptops, but when measured against others in the same price range it’s actually not such a bad deal. Our biggest concern is the screen quality, which really should have been at least 1080p at this size. Yet for a mere $500, this machine does the job, provided you’re in no hurry to get that job done. Positive: Compact size; stylish design; light weight; excellent display; long battery life. Negative: Only 4GB Ram. Positive: Compact size; light weight; good price; decent hardware. Positive: Compact size and light weight; long battery life; good connectivity. Negative: Only 4GB Ram; poor display. Intel HD Graphics (Bay Trail): Grafikeinheit in den Tablet- und Notebook-SoCs der Bay-Trail-Serie. Basiert auf der Ivy-Bridge-GPU, unterstützt DirectX 11 und bietet 4 EUs.Intel HD Graphics (Cherry Trail): Grafikeinheit in den Tablet-SoCs der Cherry-Trail-Serie. Basiert auf der Broadwell-GPU (Intel Gen8), unterstützt DirectX 12 (FL 11_1) und bietet je nach Modell 12 oder 16 EUs.Einige nicht anspruchsvolle aktuelle Spiele können mit geringen Details noch flüssig gespielt werden. Für Office und Video natürlich ausreichende Leistungsreserven. Intel HD Graphics (Braswell): Grafikeinheit in den SoCs der Intel-Braswell-Serie. Basiert auf der Broadwell-GPU (Intel Gen8), unterstützt DirectX 11.2 und bietet je nach Modell 12 oder 16 EUs. Anfangs nur Intel HD Graphics benannt, später als Intel HD Graphics 400 bezeichnet.Intel HD Graphics 400 (Braswell): Grafikeinheit in den SoCs der Intel-Braswell-Serie. Basiert auf der Broadwell-GPU (Intel Gen8), unterstützt DirectX 11.2 und bietet je nach Modell 12 EUs bei unterschiedlichen Taktraten. Anfangs nur Intel HD Graphics benannt, später als Intel HD Graphics 400 bezeichnet.» Weitere Informationen gibt es in unserem Notebook-Grafikkartenvergleich und der Benchmarkliste. Z8300: Sparsamer Quad-Core-SoC auf Basis der Atom-Architektur "Airmont" für Tablets. Taktet mit 1,44 bis 1,84 GHz und integriert eine DirectX-11.2-fähige Grafikeinheit. 74.41%: Diese Bewertung ist schlecht. Die meisten Notebooks werden besser beurteilt. Als Kaufempfehlung darf man das nicht sehen. Auch wenn Verbalbewertungen in diesem Bereich gar nicht so schlecht klingen ("genügend" oder "befriedigend"), meist sind es Euphemismen, die eine Klassifikation als unterdurchschnittliches Notebook verschleiern.» Lesen Sie auch unsere Notebook-Kaufberatung.